Leicester life is great! There’s a wide range of amenities, to suit everyone from a relaxing day shopping, a trip out to the country to cheering on the Foxes at the King Power Stadium. The opportunities are endless. A lot of the time we take for granted the local amenities we have around us and just how good living in Leicester really is. So just how much does Leicester have to offer? It’s in the middle of the country so you’ve got easy access to most parts of the country, and most parts of the country are accessible to you. So whether you’re going to the Cornish coast for a long weekend or need to be in Newcastle for a work trip, you’re ideally located to get to anywhere across the country. 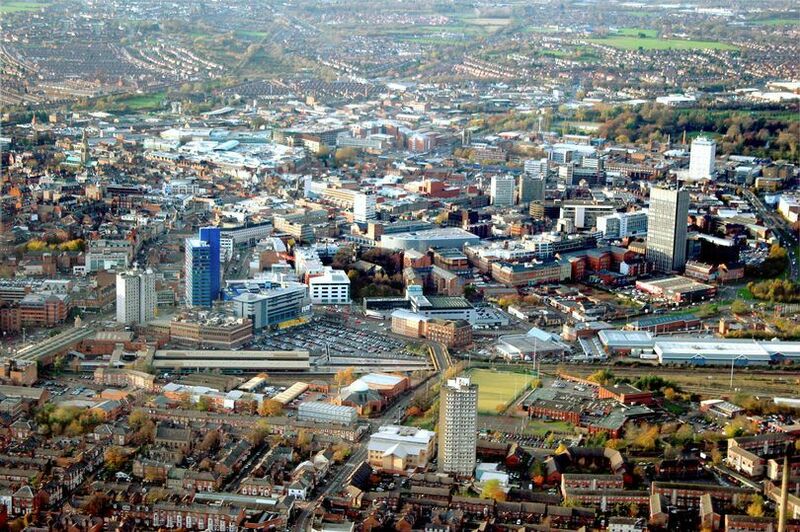 One of the best-connected cities in the UK, Leicester is located at the epicentre of the nation’s road and rail network. With a journey time of just over an hour to London on the train, Leicester is a great location for commuters who don’t want to live in the hustle and bustle of London life. It is also well situated next to the M1 motorway connecting Leicester to both the north and south and just a 30 minute drive away from East Midlands Airport. There’s great transport links to and from Leicester however you prefer to travel. The £350 million Highcross Centre is retail heaven featuring a flagship John Lewis and other big name designer shops. There is also a stunning new Cinema, numerous cafes, restaurants and bars. 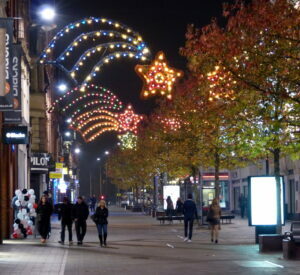 Leicester also has independent retail emporiums, niche stores and boutiques providing charming retail environments. There’s something for everyone! In 2013, Leicester became internationally recognised as the resting place of King Richard III, whose remains were found beneath a car park and were subsequently reinterred in Leicester Cathedral. Other historic buildings and museums in Leicester include the Abbey Pumping Station, Belgrave Hall and Gardens, the Guildhall and the Jewry Wall, which was once part of a Roman bath complex. Leicester and the surrounding county of Leicestershire is enclosed by stunning countryside which is perfect for anyone wanting to enjoy the great outdoors. There are numerous national parks on the doorstep, including the Peak District, Broads national park and South Downs to name a few. If you’re looking for a new home, Leicester could be the perfect place for you to move to. Not only is it visually a beautiful city, but there are also so many options for things to do in your own time. Living in Leicester is great! Are you looking to buy a new property in either of these 3 popular areas in Leicester? Get in touch with Open House Leicester today. We offer property consultancy services in addition to property management. We are contactable on the number 0116 243 7938 or by email info@openhouseleicester.co.uk.